Our founding Director, Charles Raison, M.D., a psychiatrist in the UA College of Medicine, and renowned research scientist of mind-body approaches to mental health, has long been deeply interested in the modern application of ancient healing and spiritual traditions to alleviate mental and physical suffering. 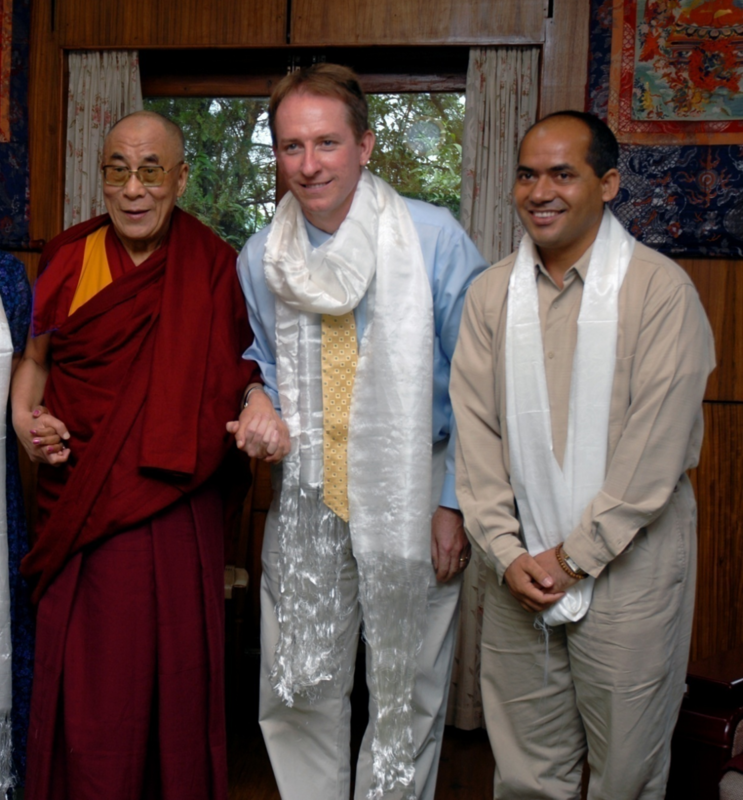 Over a decade ago, his interest in researching meditation led him to develop a unique research project studying a secularized form of Tibetan Buddhist lojong compassion meditation with Geshe Lobsang Tenzin Negi, Ph.D at Emory University. Encouraging results from that initial study, and subsequent studies with both adult and youth populations, led to tremendous interest in CBCT (Cognitively Based Compassion Training). After Dr. Raison relocated to Tucson, The University of Arizona became the first research institution outside of Atlanta to share the teachings of this compassion meditation practice. Soon it became clear that there was an opportunity to convene scholars across the university who have been studying meditation and other forms of contemplative practice and universal ethics to continue to build the bridge between ancient cultures and philosophies and modern science. Through his vision, the Center for Compassion Studies was created to expand the availability of compassion training methods, and to further investigate our understanding of the impact of these powerful methods on the well-being of humanity and our environment.